There's nothing more frustrating than discovering rust or corrosion on tools or household items. 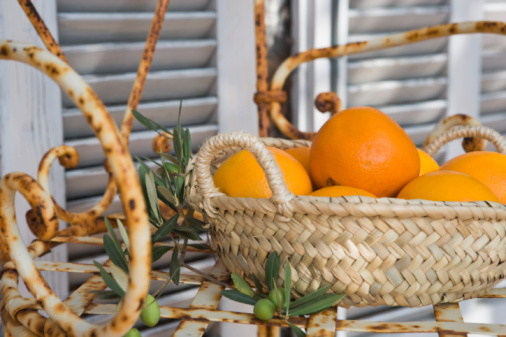 Many think that a rusted item belongs in the trash bin; however, there's a possibility of returning the item to its original state with a simple household cleaner. WD-40 is a cleaning product that can already be found in many homes and may be a great solution for removing rust. Rust can be broken down with the use of the WD-40 multi-use product. If your item still shows signs of rust once the product has been tried, stronger action may be necessary. WD-40 not only makes their signature multi-purpose product but also sells a WD-40 Specialist Rust Remover Soak that could potentially remove any remnant rust. The concept of rust is relatively simple. It occurs when iron has come into contact with water or moisture. The oxygen causes a reaction with the iron and water, which over time becomes rust. 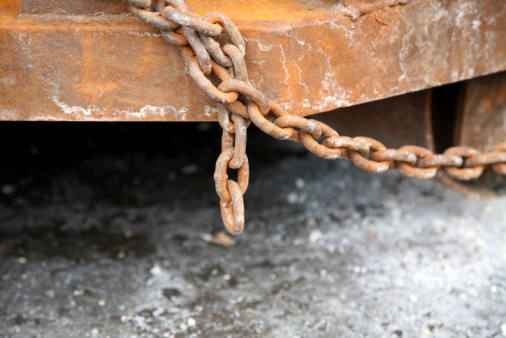 Rust can be removed as long as it hasn't entered the stage of corrosion. In situations such as rust on an engine or automobile, it's oftentimes discovered too late and has begun to corrode, leaving the damage irreparable. If you want to keep the integrity of the rusting item intact, you must take immediate action once the rust has been discovered. The key to removing rust from an item by using the WD-40 multi-use product is to make sure the item is completely covered in the de-rust spray. While WD-40 isn't only used for removing rust, it's considered a cleaning product that can be used in this capacity as well. The reason it works is due to WD-40's ability to cut through and dissolve the rust, restoring the surface to bare metal. Once the metal has been completely covered in the spray solution, wait a full 10 minutes to allow the solution to penetrate and loosen the rust. Afterward, take a brush and scrub the rust to break it apart and remove it from the metal. A wire or steel brush is the preferred brush to use, but depending on the item you're removing rust from, a softer-bristled brush may be better to avoid scratching the item. The rust should easily be scrubbed away and then can be wiped off when you're satisfied with the result. The WD-40 company not only sells a great multi-purpose product, but they also sell a WD-40 Specialist Rust Remover Soak if you're looking for a product that does this job specifically. Due to the ability to soak rusted items, this rust-removal process requires less work and may be considered more favorable for this reason. The item you wish to remove rust from must be cleaned as much as possible before completely submerging it into the rust-removing solution. Depending on the intensity of the rust, it's advised to leave the item submerged for 30 minutes, 8 hours or 24 hours. After the soak time is complete, remove the item from the solution and rinse it off. This process should remove a large portion, if not all, of the rust. If you still find rust in creases or crevices, simply start the process over again. The rust remover soak isn't a one-time use product. It can be reused over and over until the item's surface has been restored. As a full-time mom, writing allows me to follow my passion and expand my knowledge on subjects I otherwise wouldn't look into.